High-quality cotton short sleeve t-shirt platform (Gildan). 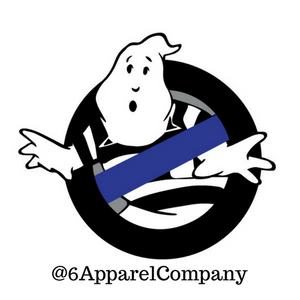 Features our watch your six thin blue line logo, front and back. Watch your six. Watch your partner's six. Watch your family's six. Hurry up and grab one of these before they're gone. Sizes: L (back ordered), XL, 2XL, larger/smaller sizes can be special-ordered. "A great short sleeve shirt that's tough and supportive toward the women and men in blue." Really happy and satisfied with the t shirt and the company. Buy with Confidence!